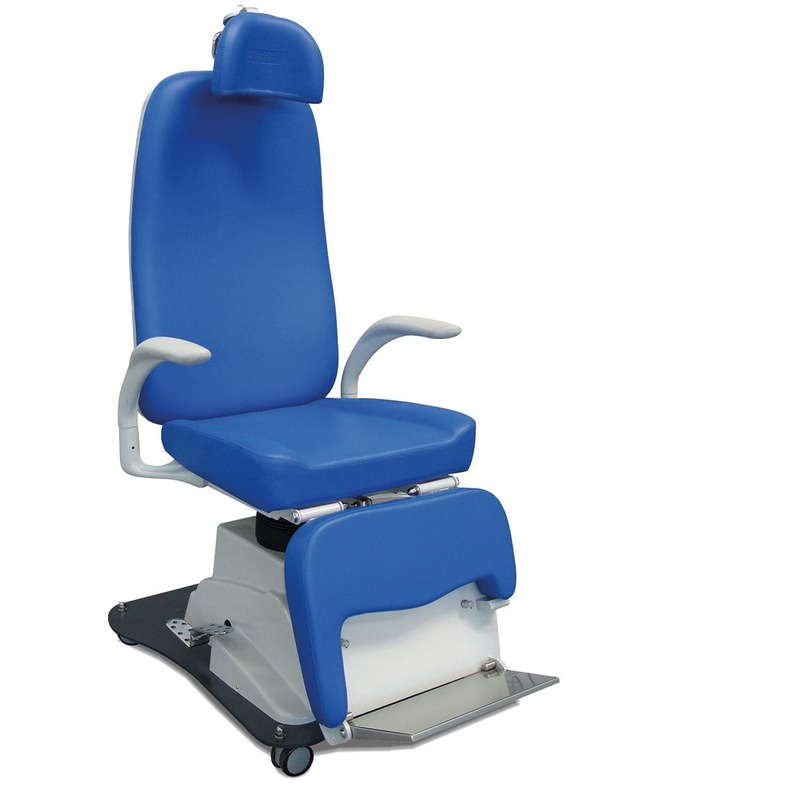 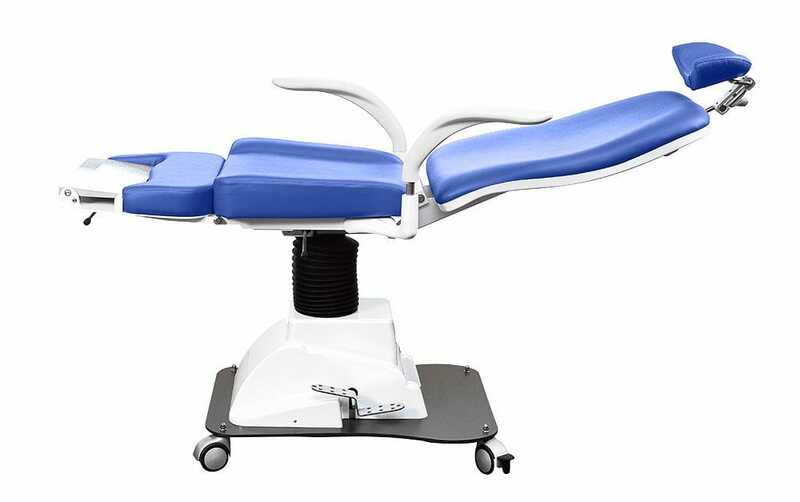 ENT patient chair with same esthetical design as OTOP/V Professional model but equipped with hydraulic system allowing the lowering and raising of the chair. 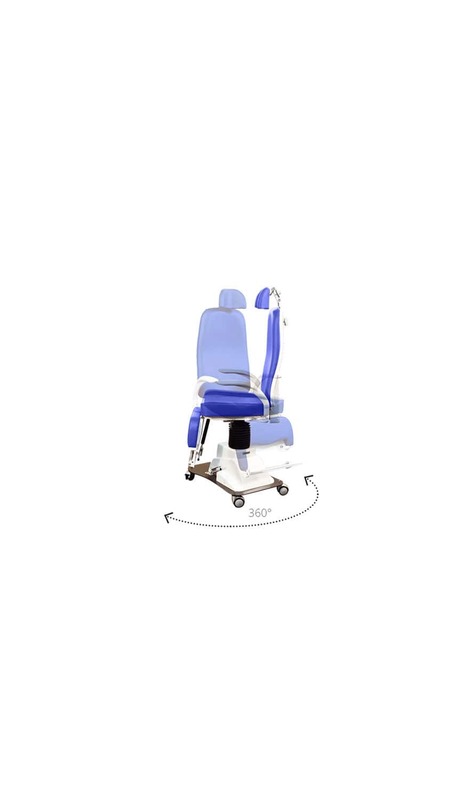 Solid structure in metal painted with epossidic powders, available in silver color or white (at choice) and hydraulic system for the rising started by a gas pump through a foot control sited in the lower back part of the base. The upholstered parts of the chair are composed of high density and un-deformable foam pelted with bi-elastic, tear-resistant, antimicrobial skai, very easy to clean. 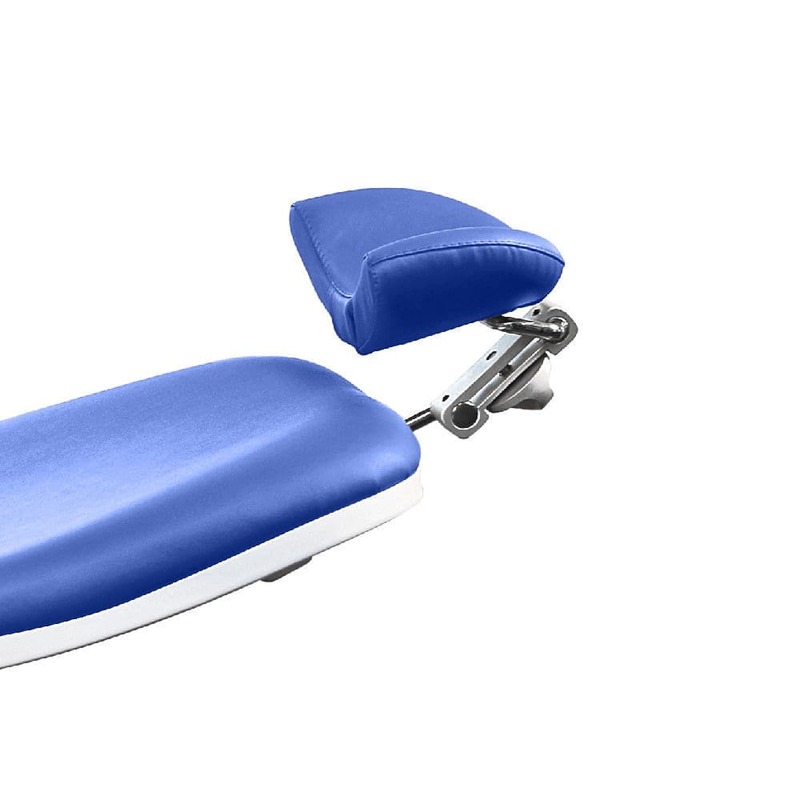 Wide and stable metal base painted in color black.